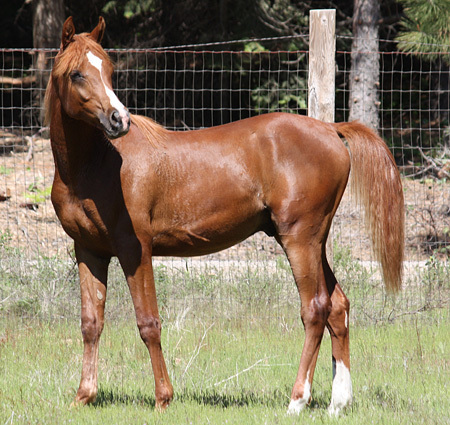 Breezy is owned by Amy Cone of Bellvue, IA. 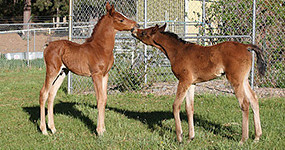 She has gelded him and is training him in dressage. 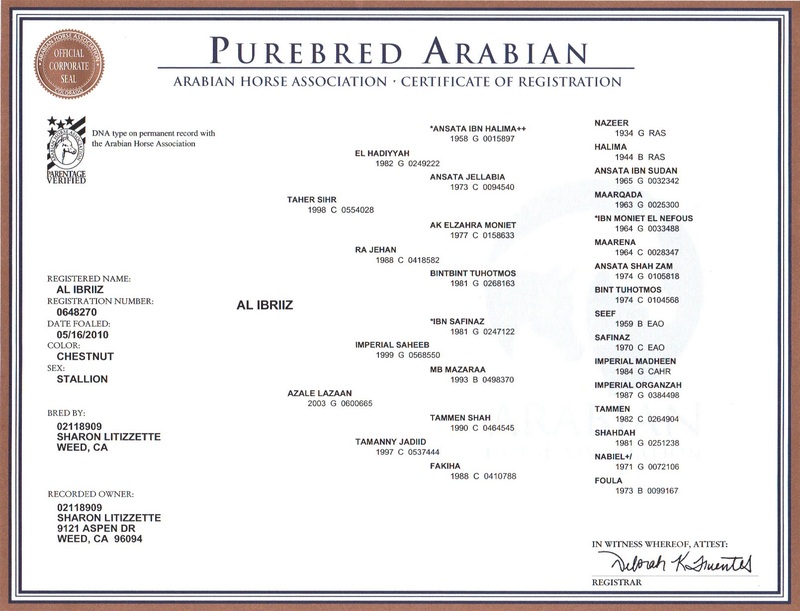 Al Ibriiz (Pure Gold) “Breezy” is a yearling SE AK stallion of excellent quality and great beauty. 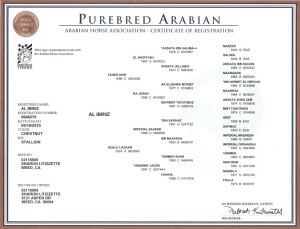 His siblings who have been shown have all garnered championships in both Halter and Performance. 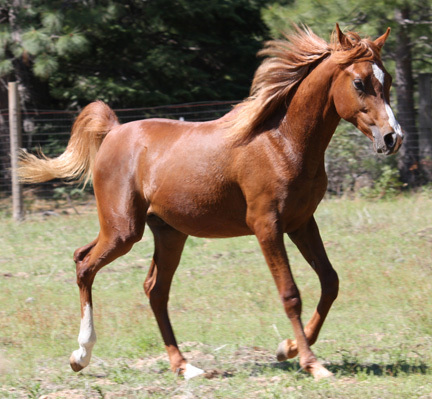 For the color breeder, Breezy’s facial markings, lacy rear leg markings and small body spot indicate that he carries the Sabino gene. 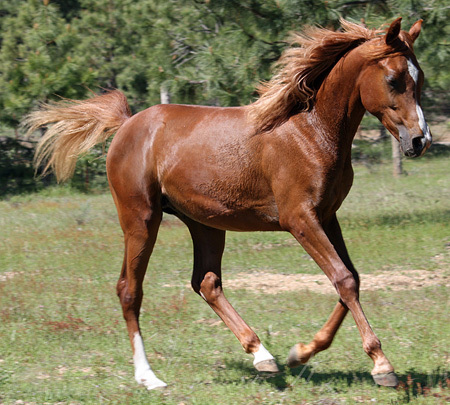 His mane and tail are “flaxen-ish” and will lighten with age. 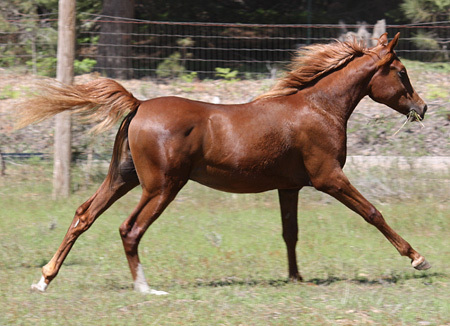 Breezy is a rich copper penny chestnut with flashy chrome. Breezy has extreme athletic ability. He easily cleared a four foot fence when he wished to return to his stall. Breezy is lifetime recorded with USEF and could have a brilliant future in the showring.